Long overdue tweet by Oats. Was actually starting to think he never would. I GET how fast this went down and hitting the ground running in Alabama. Oats has a family to look after also besides doing all of his duties. Him leaving I have ZERO issue with. All I ever wanted was A, address the players B, maybe a thank you UB/Buffalo tweet or quote. Thats all I wanted. Those two things. Him leaving for a bigger job at a big school with a massive payday Ive always been fine with. Its business etc etc. But if he did indeed address the team, then Im good. Im moving on. I don't have the answer, but I overheard ButlerAlumDad's vision and it goes a little something like this: 1. Reinstate the UB Athletic Advisory Council with BAD as president. 2. Hire present graduate assistant at Butler as UB's new head coach. Assistants will be selected from Monsignor Martin Athletic Association staff because... 3. We will recruit only MMAC players without other scholarship offers to fill our roster. 4. Do away with Blue Collar gimmick of Coach Oats. Replace by branding ourselves "The Butler of the East." Our formal motto will be: "SUNY Buffalo- New York State's Butler. Serving families of NYC and LI since 1863." Commentators will simply refer to us as "Butler's Butler." 5. At coach's introductory press conference, all questions regarding how to recruit to Buffalo, compete in the MAC, and put on a pair of pants will be answered glibly with: "The Butler Way." 6. Marshawn Lynch will mistake the condescending pretense of "The Butler Way" responses for a principled stand against forced media sessions. He will replace Jim Kelly and Thurman Thomas as our most vocal ex-Bill backer and... 7. Be named to the board of the UB Foundation, where he will... 8. Spearhead the sale of Alumni Arena (a poor venue, after all), and... 9. Invest the proceeds along with our endowment to purchase common stock in Dave and Buster's Entertainment Inc. (NASDAQ: PLAY, market cap 1.95B), threatening to attempt a hostile takeover unless... 10. The company is renamed Dave and Butler's. 11. Butler's Butler receives a generous donation from Dave and Butler's to build a new arena (The Butler), prompting... 12. Generous donors to come out of the woodwork. 13. Buffalo wins the 2022 National Championship. 14. 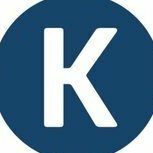 Kevin writes an article the night of the title win lamenting the poor efficiency rating in the title game win and ponders the potential for a low KenPom rating to begin the 2023 season. 15. Dave and Butler's stock soars, The Butler of the East sells, and using the earnings and publicity from the National Championship win to garner entrance to the Big Ten. 16. Nate Oats and Bryan Hodgson are last seen hosting a 3 a.m. public access program on Alabama basketball. The only caller is an intoxicated Bruce Pearl who hurls insults at the unsuspecting coaches. The show ends as follows: Oats: Thanks for tuning in! And just remember... Hodgson: From Mobile to Tuscaloosa... Together: Alabama is BASKETBALL COUNTRY! We will be ok because the conference we reside in. When push comes to shove, even the most plainly adequate coach can out recruit the rest of the MAC. Best education, best/biggest city. 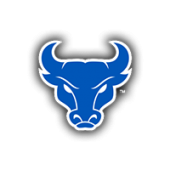 Best media attention (sadly), UB basketball both men’s and women’s is the premier destination for MAC level talent. Oats is gone. Am I really the only one who doesn’t care about his departure story anymore? Time to move forward, he did so pretty darn easily.